Dr. Marko Duic’s resignation as chief is effective Thursday, but he will continue with his clinical work in the Emergency Department. Marko Duic didn’t hire a single female physician for 16 years, first as chief of St. Joseph’s Health Centre in Toronto and subsequently as chief of Southlake Regional Health Centre in Newmarket, Ont. Physicians who worked with Dr. Duic said he favoured male trainees and made discriminatory and demeaning comments about women. Some doctors also said he encouraged questionable practices, including the unnecessary use of forms that can lead to patients being stripped of their driver’s licences. Doctors are paid to fill out the forms. The investigation began in July after The Globe obtained a legal complaint sent on behalf of eight anonymous physicians, who described Dr. Duic’s alleged gender discrimination as an open secret among emergency doctors in the Greater Toronto Area. Last March, lawyer Danny Kastner sent the complaint to hospital administrators at Southlake and the University of Toronto, where Dr. Duic has a faculty appointment. Two female doctors are now working at Southlake’s emergency department, both of whom were hired after The Globe sent questions to the hospital about why there were no female physicians in the emergency department. Many of the doctors who spoke to The Globe said administrations at both hospitals ignored concerns about Dr. Duic’s conduct because he brought in significant provincial government performance bonuses, including close to $2.5-million for Southlake last year. The performance money is based on several indicators, including average waiting times and visit lengths. Since The Globe’s investigation was published, health workers have alleged Dr. Duic’s model of care has prioritized volume and speed over quality, and patients with simple problems over patients with complex problems. The Globe granted the health workers anonymity because they feared repercussions to their careers. Dr. Steve Flindall is one of at least three former Southlake staff doctors who complained about Dr. Duic’s leadership to Southlake’s chief of staff. Dr. Duic’s resignation is “long overdue” he said. “I am saddened that Dr. Duic was also able to severely alter the career paths of so many, including nurses, medical students and physicians,” he added. Dr. Gaurav Puri will be acting as the interim chief until a permanent replacement is selected, Ms. Perrier said. Based on The Globe’s investigation, Southlake hired a legal firm, Rubin Thomlinson, to conduct an independent investigation into allegations of “gender discrimination, bullying and harassment.” Ms. Perrier confirmed that the investigation is continuing, despite Dr. Duic’s resignation. 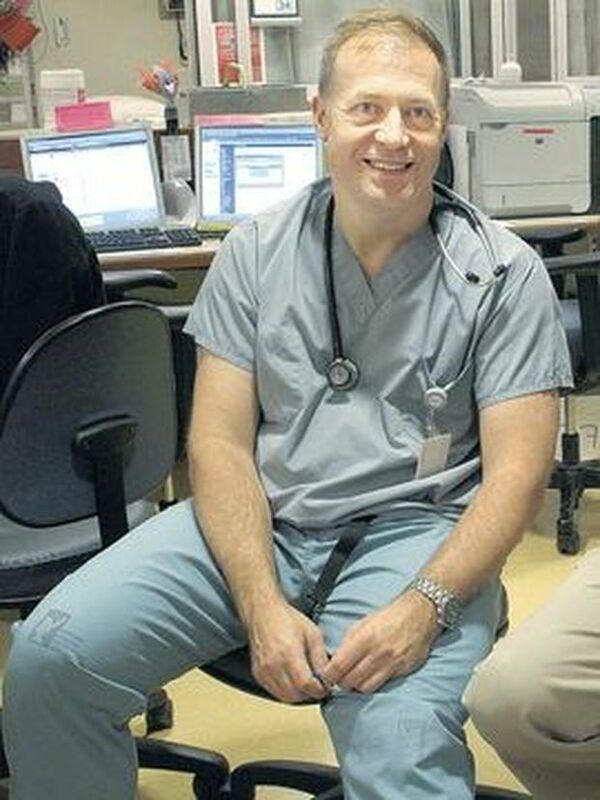 While chief of both hospitals, Dr. Duic also held a faculty appointment at the University of Toronto, which continues. He taught and mentored numerous medical students and residents. From mid-2011 to mid-2015, Dr. Duic supervised 25 trainees, all male. The Globe sent a list of questions to Dr. Duic about the allegations and more recently about his resignation. He did not respond. U of T conducted an internal investigation last spring into gender discrimination. Dr. Ziai is calling on the university to launch a more thorough investigation into claims of discrimination against female medical trainees. “We ask that the Faculty of Medicine’s Dean, Dr. Trevor Young, consider the message that is sent to the medical community-at-large when concerns of sexist conduct at a clinical teaching site go unaddressed,” Dr. Ziai’s statement read. Dr. Young told The Globe this week that the university works hard on equity and inclusion and he encourages those with concerns to come forward. “My team has gone through years of evaluations from medical trainees who completed rotations at St. Joseph’s and Southlake emergency departments for any suggestion of gender discrimination or equity issues,” he said. “None was found." The female physician complainants argue that U of T’s investigation was superficial. They say trainee evaluations aren’t likely to reveal issues, since Dr. Duic rarely supervised female learners. Ministry spokesperson David Jensen reiterated what he had told The Globe in October, saying the Ministry “takes all reports of inappropriate billings to OHIP seriously” and that it would review the claims and determine next steps. Mr. Kastner, the lawyer, expressed concern that Southlake didn’t temporarily remove Dr. Duic as chief when the independent investigation was announced. “Witnesses remain scared to come forward because Dr. Duic continues to have hospital privileges and presumably influence,” he said.